Do you ever get it wrong? Haha! We all do, right? But for some reason it stings to admit it. Last year, I decided to publish my first book before I turned 30. As of today, my 30th birthday is 262 days away. but I won’t be publishing a book this year. In the fall of 2017, I quit my pretty good job. I was working at a top company — on the bottom rung of the ladder — but there was promise for a stable, well-paying career in finance. But it absolutely sucked! As in, it was sucking the life out of me. Monday through Friday, I sat in my little gray cube with only 2 computer monitors to communicate with, and I felt like I was dying a little every day. I eventually wanted to save up a comfortable nest egg, have children, send them off to college, and eventually retire from my career to do what I thought I was actually put on earth to do: be a Christian writer. With no children on the horizon and the only responsibility we have being to keep our sweet little pit bull alive, we decided that NOW was the best time to pursue our dreams. I say that lightly, but really I felt the Lord leading me in the “now or never” challenge TO DO what I knew I was created TO DO! The next week — and after a lot of diligent prayer — I quit my job, and I haven’t looked back since. If anything, I should have quit sooner! Let me set the record straight: The job was fine. The people were fine. It was just so far outside of the unique dreams God’s put in my heart! 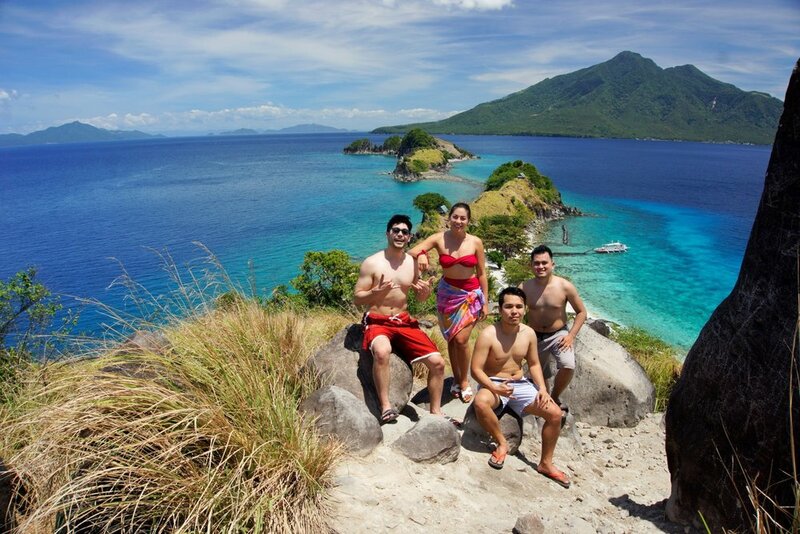 Island hopping with my cousins in the Philippines! As you can tell, I’ve never lacked ambition. The “100 books & 13 children” dream started when I was about 12 years old. And since then, I’ve always worked really hard to create the life I dream of living. But I had a rude awakening in this past month of traveling. The thing about travel is it absolutely cannot be condensed to Instagram photos and idyllic captions. The thing about travel is that it fundamentally changes you — if you let it. If you let go of ALL THE THINGS that you think make you who you are, then travel is the quickest way to change. When you experience other cultures and see other ways of doing things — ancient, alternative, or innovative — you lose yourself, and that’s a beautiful place to be. You start to question why you do the things you do. How do Filipinos eat so much — 6x a day — but stay so thin? Why don’t Americans live in multi-generational homes? Why do I have to know how long a roadtrip will take? Filipinos just say, “Get in the car”, which could mean 30 minutes or 3 hours. Why are American laws so lax to allow people to behave like absolute fools in public? How do they have so many cultures & religions (Singapore is the most religiously diverse country in the world), but there isn’t the hatred & prejudice that we have in America? Experiencing other cultures makes you question “normal things” in ways that staying in a non-diverse environment will never allow you to do. I probably should have mentioned that last month’s trip was no ordinary vacation. Russell and I went to the Philippines (for the first time) with my mom, who is native to the Philippines and lived there for the first 30 years of her life. I wanted to learn about the half of me that I’ve never really explored. To be frank, I’m the worst Filipino. Until last month, I knew nothing about the culture, the food, the family dynamic, the values — I knew nothing! We spent two weeks in the Philippines with my family in a “cultural immersion” trip. We stayed in my family’s home, ate the local food, and did the local experiences. 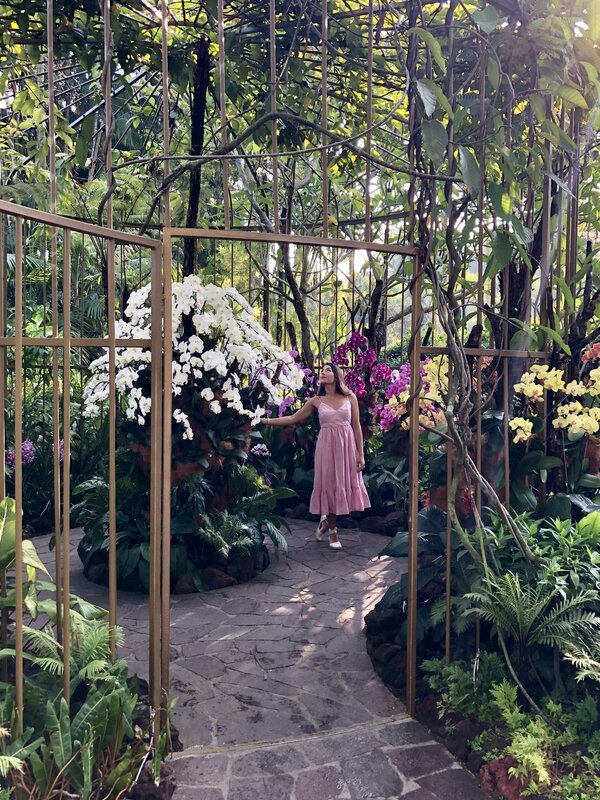 Then we spent time in Singapore, where we experienced this unique place where every Asian culture melded together so beautifully. It was sublime — the totality of the trip! The contrast between the Philippines, which has mostly retained its own culture, and Singapore, which has blended so many cultures. Being away for a month — away from my routine and the things I focus on daily — really gave me fresh perspective. Or should I say: it gave me clear head-space for God to give me fresh perspective. Some of my amazing family who hosted us in the Philippines! Last year, I decided to write my first book with plans to publish it by the end of this year. I succeeded in writing the first draft by the end of last year, which was right on target with my plans. But when I started editing it this year, things just weren’t working. I was working, but the book wasn’t changing. I felt like I was trying to bake a cake out of sawdust. I could tell I wasn’t working in God’s grace. I was trying to force it to happen based on my own timeline. One night in Asia, I felt God speak to me and say something like, “You can make this book happen this year, but it’s not going to be the book you want to write.” And to paraphrase, basically that the book I’m writing doesn’t have the evolved thinking that I hope to give my readers. To add insult to injury, the book I’m writing can’t give that higher thinking because I haven’t yet experienced it. You see, I don’t want to write another book just like all the other books on your Christian girls’ bookshelf. I want to write something rich in wisdom and useful for helping you pursue God. But the book I’m writing isn’t that…yet. At this point in time, I feel like God has led me to pause writing my book to continue to evolve my understanding. I know that one day He’ll tell me to pick it back up, but I’m not there today. The post about singleness… A couple of people told me they were hurt by it. Being honest is my forte; but the natural side of me is brutally honest. I need God to fix that before I publish a book. I’ve since removed that post, but I can’t fix the hurt I’ve already caused. I always want to write honest things, but not at the expense of people’s feelings. I need to learn to communicate truth with love. Of course, it’s not therapy that’s going to change me. It’s the Holy Spirit, but I’m being proactive by letting people speak into my life: Russell, Spirit-led family and friends, and my therapist. And I’m learning to surrender more of “who I think I am” for the person God is changing me to become — the one who loves like Jesus. While I thought I’d be able to brag about publishing my first book before I’m 30, I will not. Oh yeah, I conveniently left out that I need to lose my prideful heart before God accomplishes great things through me… Prideful people always do that. We leave out our own indiscretions. Here’s to hoping that publishing this on the interwebs helps me lose some pride! I was wrong to think that publishing by 30 would make me have greater self-worth. I was wrong to think that publishing by 30 would validate my influence over people. I was wrong to think that self-worth and influence are even that important! I was wrong to think my identity is “God’s beloved” AND New York Times best-selling author AND adopted 13 kids AND runs orphanages. Therein lies the lesson of this entire blog post. I can’t earn my place in God’s kingdom. I can only accept that God loves me *EVEN IF* I don’t do anything for Him. And when I do eventually write books, it won’t be from a place of earning more love and favor. It will be from a rested, content, grace-filled place of doing the things He already set up for me long ago. I’m not trying to earn more love. I’m just learning to be loved by God. Here are some photos from my Asian Heritage Trip that I wanted to share. If you have any questions about my experience, the Philippines, or Singapore, leave a comment because I’d love to talk more about it! 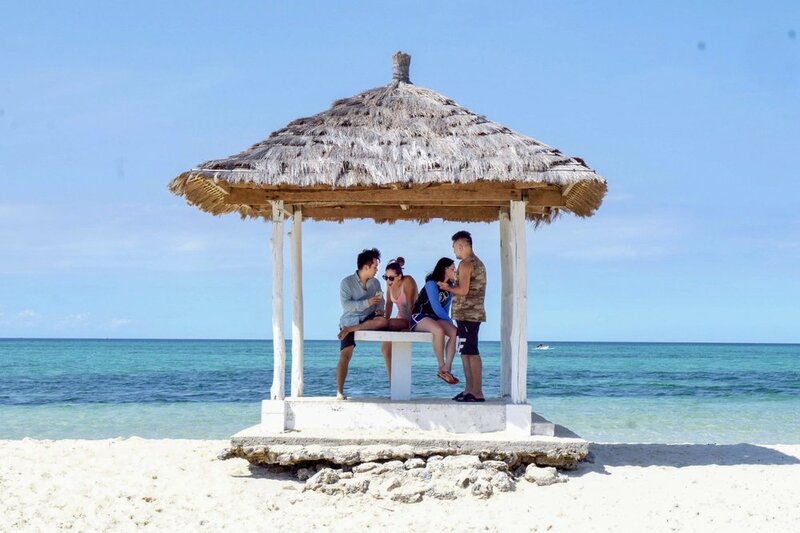 Cousin adventures on Sambawan Island, PH! A pool on the side of a tropical mountain with a view of the ocean? Yesss! Filipino food is sooo delicious! Some of my beautiful family! The MOST delightful restaurant I’ve ever been to! That one time I met my firecracker grandmother! …and we all celebrated her 90th birthday! Swimming with whale sharks — they’re friendly…right? The most exquisite sunset viewed from my aunt’s back deck. 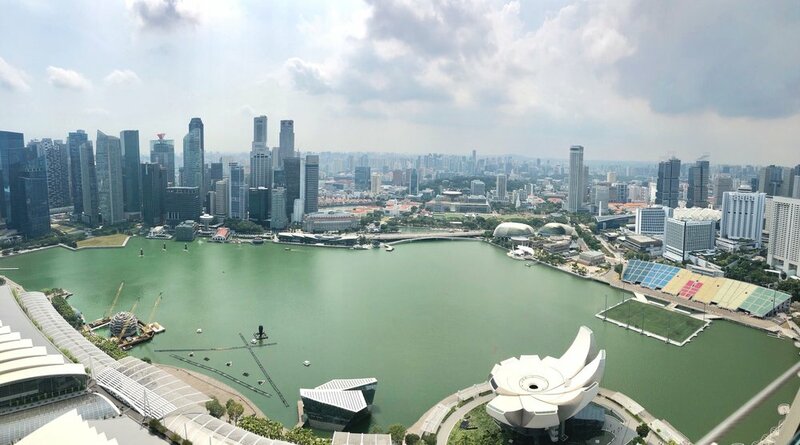 And then we went to Singapore!